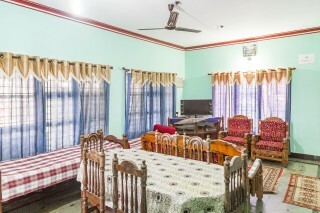 Situated just 1.5 km from Raja’s Seat, this is an offering of a two-bedroom homestay that can accommodate up to six guests. 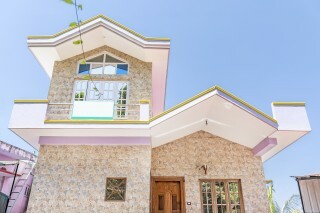 The property features a kitchen and boasts ample parking area. 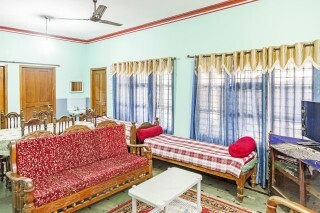 Amenities such as a caretaker, driver, and doctor-on-call are offered by the host. 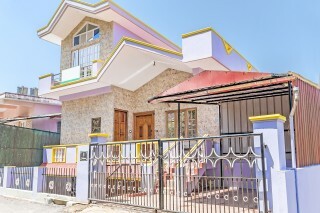 Your Space This cheerful property features a living room appointed with a beautifully upholstered sofa and complementing armchairs, a divan, and a television is provided, so that you stay updated on the latest happenings. 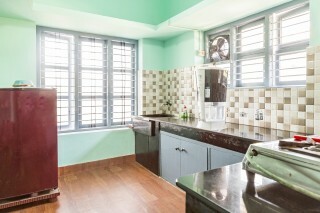 A six-seat dinette is placed in the room, thereby making mealtimes convenient. 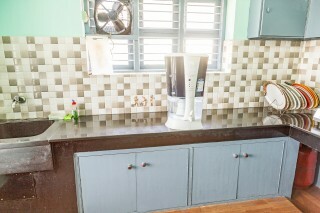 The kitchen is equipped with a refrigerator, a gas hob, and a blender, thereby making cooking hassle-free. 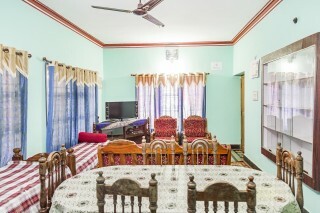 The rooms on offer are furnished with comfy beds, so that you and your travel companions can sleep peacefully. Additionally, a dresser and a wardrobe are provided for added convenience. The bathroom is well designed and fitted with modern sanitary ware. Guests are requested to provide valid ID proof at the time of check-in. Breakfast can be arranged at a charge. Pick up and drop service is complimentary. Home Stay at Coorg Madikeri.